Would you like your commercial landscaping in Weatherford, TX to be revamped? At MDM Landscapes, our specialists are here to offer a wide range of landscaping and other services to elevate the look and health of your landscaping. Whether its for your commercial property, government building, apartment complex, or residential development, landscaping can really transform the appearance of any property. If you are interested in our services and want to learn more, you can call our office at 817-396-0125! We are excited to work with you and be your local experts for commercial landscape services in the DFW area. 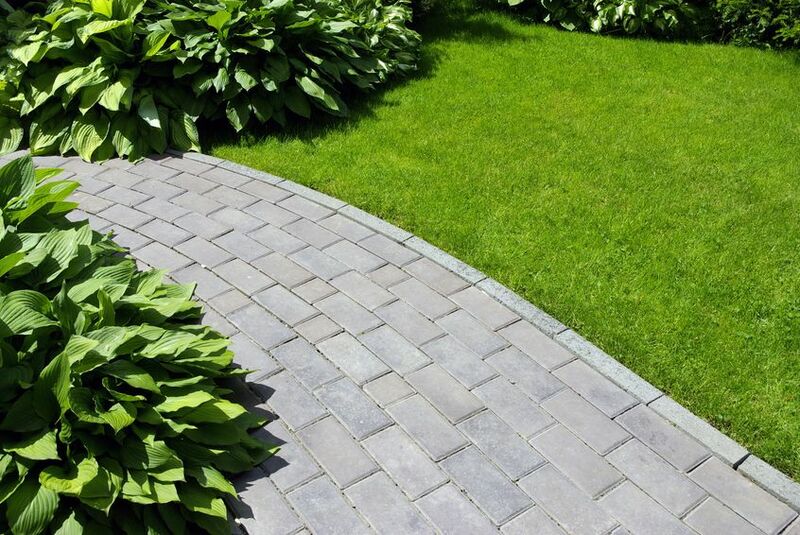 One of the best things about landscaping services is that they can add extra curb appeal to your property. With a few flower beds planted and a well-maintained lawn, the appearance of your landscaping can drastically change in the best way possible. Not only do landscaping services for commercial landscaping in Weatherford, TX add more curb appeal, they also increase the value of a property. We do a lot of things in order to add more value to our property, but one of the easiest ways to add more value is to invest in professional landscaping. If you think your commercial property needs landscaping services, please call us today! Hardscape Services From retaining walls to stonework, there is nothing we can’t handle when it comes to hardscape services. Irrigation Management Let us help keep your landscaping properly watered with our irrigation management services. Landscape Design Do you need landscape design for your commercial landscaping? Give us a call today! If you are looking to have beautiful landscaping for your commercial property, government building, apartment complex, or residential development, we are ready to help you! Our specialists have been in this business for a long time and know what it takes to create a unique and truly gorgeous landscape design. We work closely with our clients to determine what they want and then bring their vision to life. Our professional team plants flower beds, sod and grass, and even sport turf to change the look of your landscaping for the better. In addition to planting, we also offer mulch application, as well as dirt work to keep your landscaping looking healthy long after we are done with the actual landscape design. To make an appointment for this type of commercial landscaping in Weatherford, TX, call us at 817-396-0125! 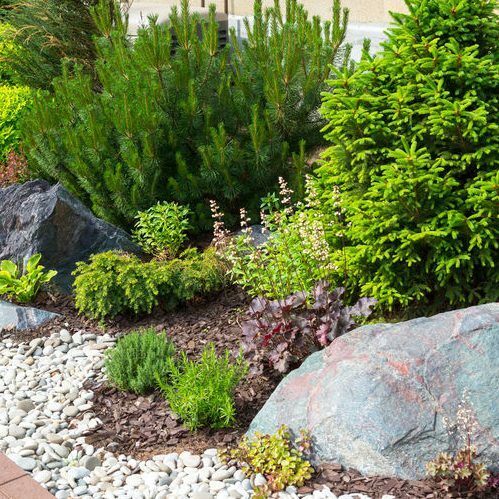 In order to keep bushes and flowers separated, as well as add more dimension to commercial landscaping in Weatherford, TX, MDM Landscapes offer hardscape services. Hardscaping is when you take materials like metal, wood, or stone and incorporate them into your landscaping. The best ways to add hardscaping to your landscaping is with patios, pathways, steps, and retaining walls. If your apartment complex needs a new pathway or you need a retaining wall repaired on your commercial property, we are here to help you. Whether you need services for retaining walls, flagstone, or stonework, our team of professionals has the skills and knowledge to install and repair just about any hardscaping that you want or have on your property. To make an appointment for this kind of landscaping service, you can reach us at 817-396-0125. A green and healthy landscaping is made possible with regular watering. Watering our grass, flowers, and bushes is extremely important, but it needs to be done correctly. Overwatering is a pretty common occurrence and something that can really damage your landscaping. Not only can overwatering damage your lawn, but it can also cost a lot of money in water and electric bills. If you want to put a stop to overwatering, you can call us at 817-396-0125 for irrigation management. Irrigation management for your commercial landscaping in Weatherford, TX includes installing and repairing sprinklers systems, as well as making sure the irrigation system is working properly. If you are sick of expensive water or electric bills and want to ensure your landscaping is in good condition, contact us to make an appointment. Planting flowers and maintaining your irrigation systems are a big part of what we do, but they aren’t the only services that we provide our clients. On top of our landscaping services, we also offer other landscaping services for your commercial landscaping in Weatherford, TX. If you want landscape lighting added to your commercial property or you think you need tree care services, our professional team is here to help you. We want to be the landscaping company you go to when you need additional services, so contact our office at 817-396-0125 whenever you need to make an appointment. We are more than happy to go over what other services we offer and how we can help you. Lawn Care Need lawn care for your commercial landscaping? Call MDM Landscapes today. Outdoor and Landscape Lighting Our specialists are able to add outdoor and landscape lighting, as well as repair it. Tree Care Keep your trees in the best condition by calling us for professional tree care service. Lawn care is typically known for specific services such as mowing and maintenance; while our specialists are able to offer those services, we also offer other lawn care services like soil aeration, drainage services, and fertilizer to ensure your lawn is getting the nutrients and water that it needs. If you think your landscaping needs lawn care services, you can contact our office at 817-396-0125 to set up an appointment. Your commercial landscaping in Weatherford, TX is important, so we offer lawn care to ensure its growing as it should and getting the nourishment that it requires. Don’t wait–give us a call today to schedule your appointment for professional lawn care. Are you looking to highlight various areas of your landscaping? One of the best ways to do this is with outdoor and landscape lighting. At MDM Landscapes our specialists are able to install and repair outdoor and landscape lighting for commercial properties, government buildings, apartment complexes, residential developments, and more. While outdoor and landscape lighting is a great way to showcase our trees, bushes, and other landscaping, its also a great deterrent for burglars. If you are interested in having better security for your property while also adding more curb appeal, please contact us at 817-396-0125! We can help you determine what type of outdoor and landscape lighting you need for your commercial landscaping in Weatherford, TX. While a big focus is keeping our bushes, grass, and flower beds alive, we also need to be concerned about the health of our trees. Trees continue to grow and flourish long after they have been planted, so it’s essential that they get the proper care to ensure they keep thriving. We are able to offer tree care that includes pruning and trimming back trees. A pruning service involves removing tree branches and limbs that are old or sick, whereas a trimming service is used to keep trees tame and looking great. In addition to pruning and trimming, we also offer tree planting and removal. If you need trees planted for a new construction or a dead or dying tree removed, we are the experts to contact. Give us a call at 817-396-0125 for this kind of commercial landscaping service in Weatherford, TX. When you need landscaping or other services for your commercial building or other property, the team at MDM Landscapes is here to help. We want nothing more than our clients to have perfect commercial landscaping in Weatherford, TX, so if you would like to book an appointment with one of our specialists, just dial 817-396-0125! Updated on April 16, 2019 at 9:56 am by MDM Landscapes.